An opera-loving Oxford bachelor, Morse is undoubtedly one of the best-loved detectives ever to grace our screens. 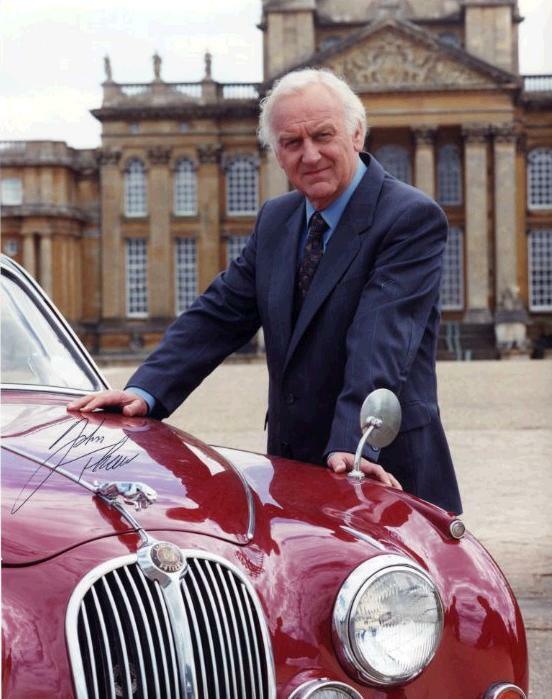 Superbly played by the late John Thaw, even his first name was a mystery before finally being revealed as Endeavour. With its iconic location and high drama, I firmly believe that Morse is one of the best programmes ever to air on ITV. Alan Davies starred as magician’s assistant Jonathan Creek, who used his inside knowledge of illusion to tackle cases that baffled others. I particularly enjoyed the New Year’s special a couple of years ago, although it put me off ever taking a bath in a locked room again. Agatha Christie’s dapper Belgian detective, the one and only Hercule Poirot, cracks crime in the Art Deco world of the 1920s. David Suchet has ‘been’ Poirot since 1989 and this Christmas will see him complete the case catalogue with five final episodes. Magnifique. Previously the great man at number one’s sidekick, in the spin-off series Robbie Lewis has been promoted to Chief Inspector himself. Morse may be gone, but his legacy continues as Lewis deciphers more eccentricities of academic Oxford with his new sergeant, James Hathaway. I particularly admire the dynamic in Lewis and Hathaway’s relationship and the manner in which previous Morse cases have been incorporated into new mysteries. Midsomer’s favourite policeman always got to the bottom of things and was sure to finish every case with a twinkle in his eye. 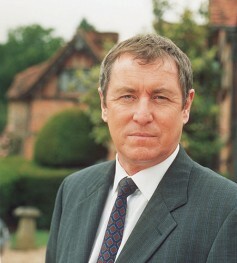 With so many murders, it’s a wonder there’s anyone left in Midsomer, but despite John Nettles stepping down from his much-loved role, a new Inspector Barnaby (his ‘cousin’!) has stepped in to keep the villagers in check. Portrayed by many actors over the years, from Basil Rathbone to Richard Roxburgh, Holmes is the archetypal Victorian detective, deerstalker hat, pipe and all. The contemporary BBC adaptation Sherlock aired to great acclaim in August 2010 and a second series will be broadcast early next year. A 2000 remake of the original 1960s series starred Bob Mortimer and Vic Reeves in the title roles. It’s often said that two brains are better than one when it comes to detective work, so when Marty Hopkirk is killed, he does the logical thing and returns as a ghost to help old work partner Jeff Randall solve new cases. Whoever said cooking and sleuthing don’t mix? Richard Griffiths played the Pie in the Sky chef who also worked as a policeman, despite his wish to retire and focus on his restaurant. His superiors wouldn’t let the best brain on the force leave, so the mid 1990s were spent cracking crime as well as eggs. A solid ITV3 favourite. Poisonous plants, convenient shrubs to hide behind, all those dangerous tools lying around…gardens can be crime-ridden. But luckily, Rosemary Boxer and Laura Thyme were always on hand to help. I occasionally felt that the acting was below par, considering the renown of the two lead actresses, but it was gentle entertainment and not too gory, so I’m sure it reached a wide audience all the same.